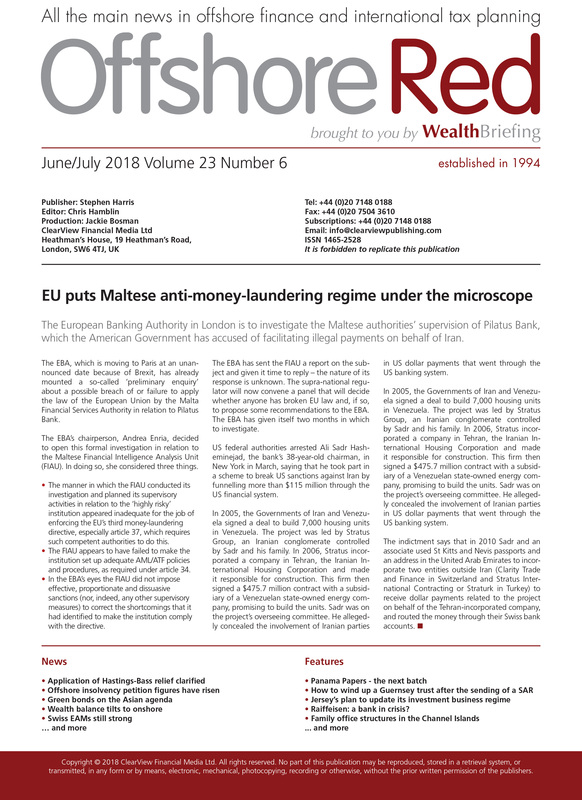 Offshore Red is the key monthly source of news and analysis relating to international tax, trust and regulatory developments. Its unique, need-to-know legislative planning update is respected throughout the cross-border financial services industry. With unique access to a highly-qualified group of experts specialising in tax planning, legal and financial services, Offshore Red gives readers timely and analytical commentary relating to tax, trust and regulatory changes, and their implications for international trust and tax planning for private clients. The latest finance and tax planning news affecting the IFC space. Essential information on offshore legisla- tive, compliance and regulatory changes. In-depth analysis and comment from both a dedicated editorial team and industry experts from around the world.